distribution In NC, it is restricted to the Sandhills region, plus the adjacent western Coastal Plain (Bladen County). Although one might assume the northern edge of the range lies in NC, the whole range covers the Atlantic seaboard from southeastern Canada south to FL and LA, and west to MN. Clearly, the species has a highly disjunct overall range; it almost certainly is not found in most or nearly all other Coastal Plain counties to the VA line. abundance Uncommon to locally fairly common in the Sandhills, but as it is the smallest dragonfly, it is very easily overlooked. Probably rare east of the Sandhills. Might occur in the adjacent edge of the Piedmont. flight A rather narrow flight period; mid-April to late July. A 2018 record from March 10 is extremely early. habitat Highly restricted to boggy spots, with much sphagnum; often at seepages. These can be around the margins of beaver ponds or man-made ponds, damp places in powerline clearings, and natural fire-maintained seepage slopes. behavior Adults perch and fly very close to the ground/water, often no more than 4-5" off the ground, amid grasses, sedges, and rushes. They seldom arise above the height of the herbaceous vegetation. comments To see the species, one must go to boggy places around a pond margin or a wet powerline clearing in the Sandhills, and expect to get one's feet damp. 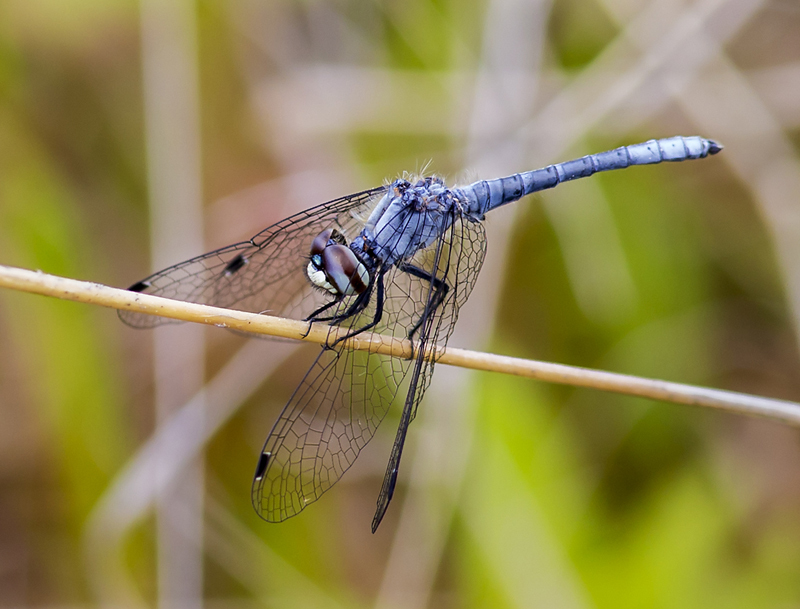 They can be confused with Little Blue Dragonlet, which shares its habitat but is slightly larger and has a less obvious club. Be careful where you step, as you might have them underfoot! Comment: Scotland, 2015-05-08, Scotland Lake - Mostly males. Comment: Richmond; C, 2015-05-08, Broadacres Lake; shoreline near the parking area. - Males; one a characteristcally green teneral.